The pairing of Ajay Devgan and director Milan Luthria has been a successful one thus far with 3 films (2 hits) in their kitty. Now they’re back for their fourth film together with the Bakri-Eid release ‘Baadshaho’. It is a multicast film and the trailers have promised a movie which is set in the past but has a contemporary look. Does the heist film end up being as thrilling as heist films are supposed to be? Story: The year is 1975 as is boldly proclaimed. Princess Gitanjali (Ileana) of a province in Rajasthan has had the last ancestral gold of her family confiscated by the Government who are transporting it back to Delhi. Gitanjali enlists the help of her trusted security-in-charge Bhawani Singh (Ajay) to commit a heist and steal the gold back. He gathers a team of misfits – Dalia (Emraan Hashmi), Sanjana (Esha Gupta) and Tikla (Sanjay Mishra). Things get interesting when stern army officer Major Seher (Vidyut) crops up and makes things difficult for the gang. Will they be able to steal the gold back and bring it to Gitanjali? Watch the film to know! Milan Luthria with the help of writer Rajat Arora has delivered a film that has turned out to be a more entertaining product than it promised to be. There are creative liberties taken as the film is placed around real life events, but they are not dumbly inserted in the script. Baadshaho aims to make the heist genre meaningful and to an extent it gives the genre an extra coat of layering than we’re used to seeing. The chemistry of the gang is breezy. The scenes keep flying in the beginning but a major lull appears when action scenes go on for too long. Why are Bollywood directors so fascinated with overdrawn action sequences? Eventually, Baadshaho ends up being an entertaining affair all things considered, if you can ignore the subtle propaganda. There are loopholes too in this heist actioner but the director smartly makes the viewer overlook them. Baadshaho has a period setting and therefore it needs to get a lot of things right – and it does. The production design and costume design takes us back to the year 1975. The cinematography and action choreography however make the film look contemporary. The scale is big and it shows in the frames. The editing is nippy and the film doesn’t feel too long (except for the action scenes). Mere Rashke Qamar has become one of the biggest hits of the year and the other songs like Socha Hai and Piya More are also decent. Thankfully there aren’t too many songs to disturb the flow. Acting: Ajay Devgan is supposed to be the main star attraction of the film but Baadshaho is not an out-and-out Ajay Devgan film per se. He is brilliant in his role as Bhawani Singh, the royal protector who is secretly in love with his princess. Just the right amount of emotions come across his eyes and body language. 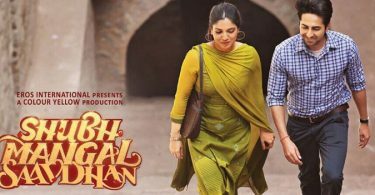 Emraan Hashmi is back to his usual charming self and his Marwari accent steals the spotlight in the film. Vidyut Jamwal brings across the stern officer deftfully and his acting has definitely come of age. Sanjay Mishra is the comic relief as the aged lockpicker and he’s hilarious. Ileana does her job as the pretty princess and her acting is serviceable. Esha Gupta needs to work on her acting because it still feels like she’s ‘acting’ which should not be the case when the other cast members are so talented and natural in their performances. Conclusion: Baadshaho delivers on its promises of being a thrilling heist film and it is entertaining for the majority of its duration. There are flaws like loopholes, overdrawn action scenes, inconsistent detailing but they’re merely technical. 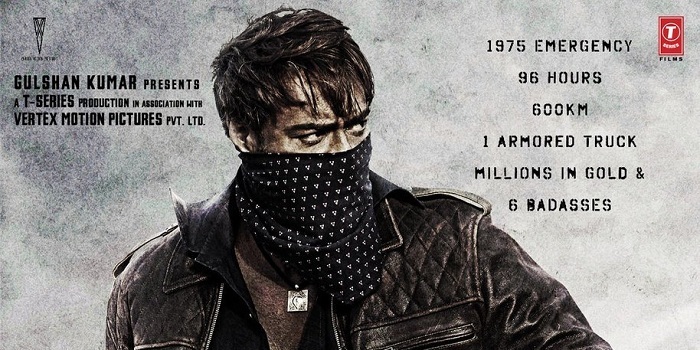 If you’re willing to suspend your disbelief and if you want to enjoy a badass Bollywood film with whistle worthy dialogues then you can’t go wrong with Baadshaho this week. Give it a watch and you might be pleasantly surprised. Srk is a flop star bro..
No 1 wants to troll srk here bt senseless fans like u show up wth such comments. So dear jabra fan baadshaho will be clean hit. 100 crore movie n cross small multiplex movies lk harry met sejal in frst week itself. N then it will challange overhyped flop raees too. N then u know who is coming to rule in becember this yr.
Just saw first show. My rating 2 only. A story full of loop holes and over the top Crap. How can ajay and Imran can be wasted. It can be seen in this movie. I am a srk fan and sorry that srk has fans like you..srk never taught to hate someone…pz be polite and spread love as srk is doing from last 25 years..cheers..
Baadshaho UAE 3.84 cr 1st day.. The comeback of EMRAAN MASS .. This is the avatar audience loves him in..
BAADSHAHO 100RS ticket is worth just to watch PIYA MORE song.. audience going crazy… throwing coins n notes!!! And yes everyone, enjoy it in Single Screen theatre. Decent. Expecting a 10cr opening today. This movie might add to the list of flop movies. Dull phase continue for Bollywood except TEPK. Isn’t this the same range where Akki films with excellent trailers open? In term of openings…ranbir>ranveer>varun>ajay . @Sunny 2.0 Actually 12 cr is his highest opening figure. Singham was a franchise and credit went to the brand value and rohit shetty. Poor actor with 0 ekka dukka fan following. LOL.